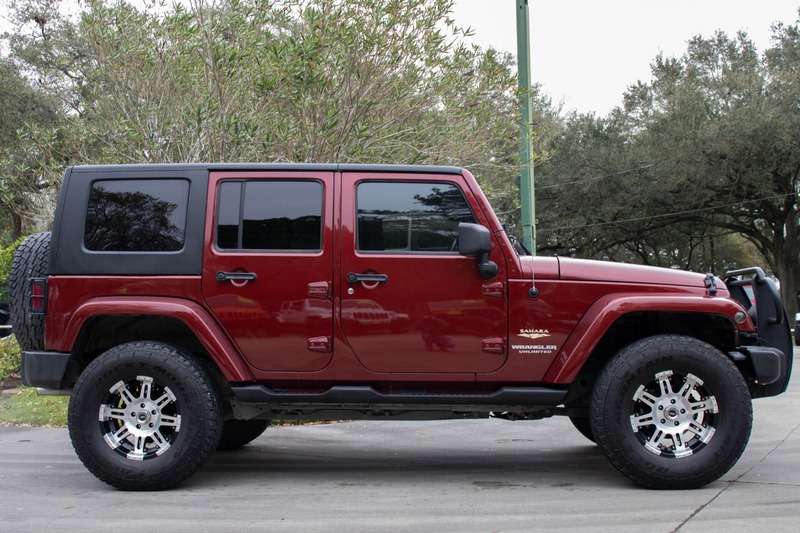 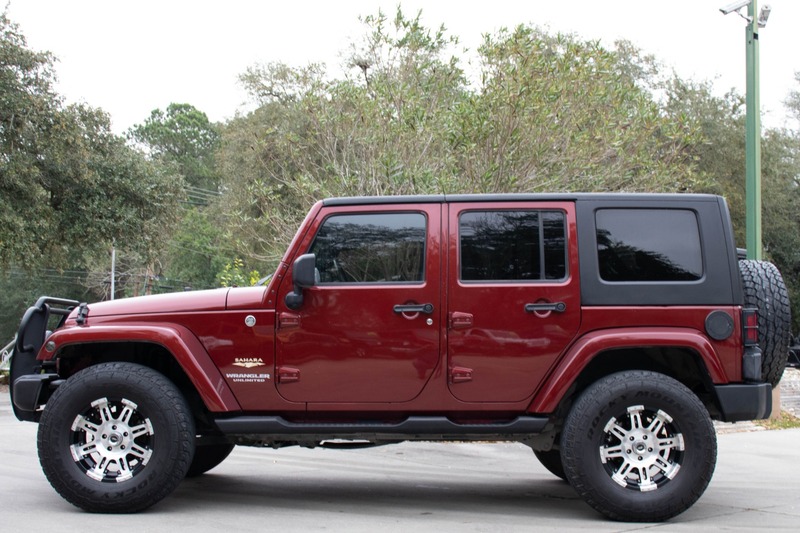 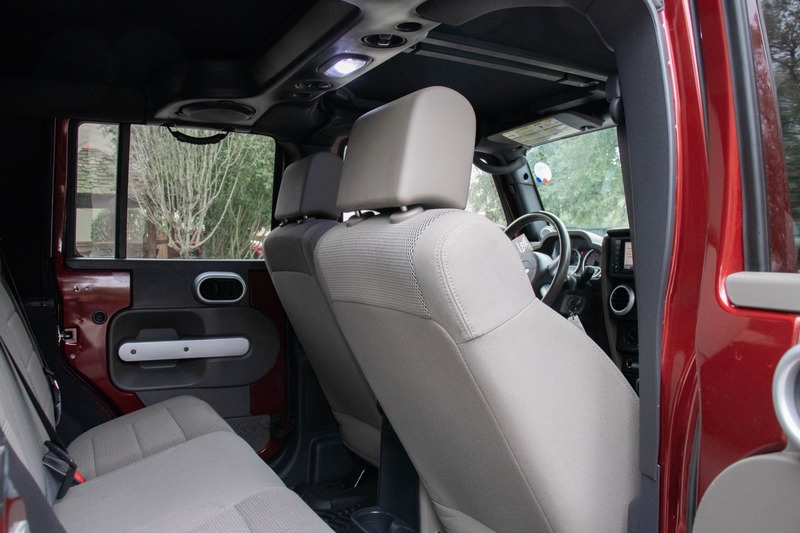 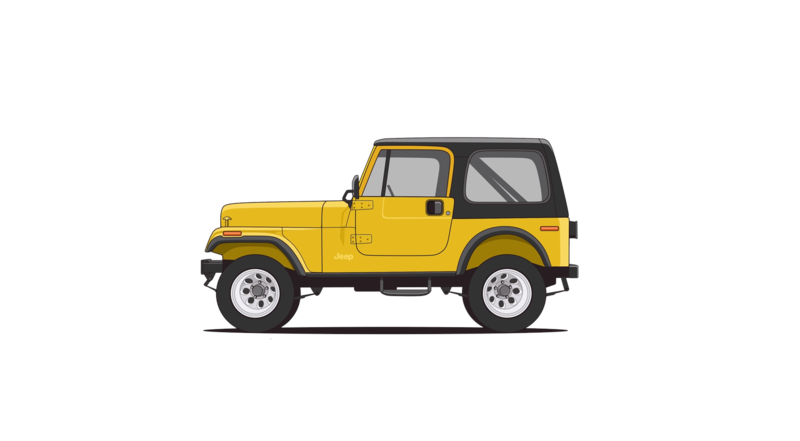 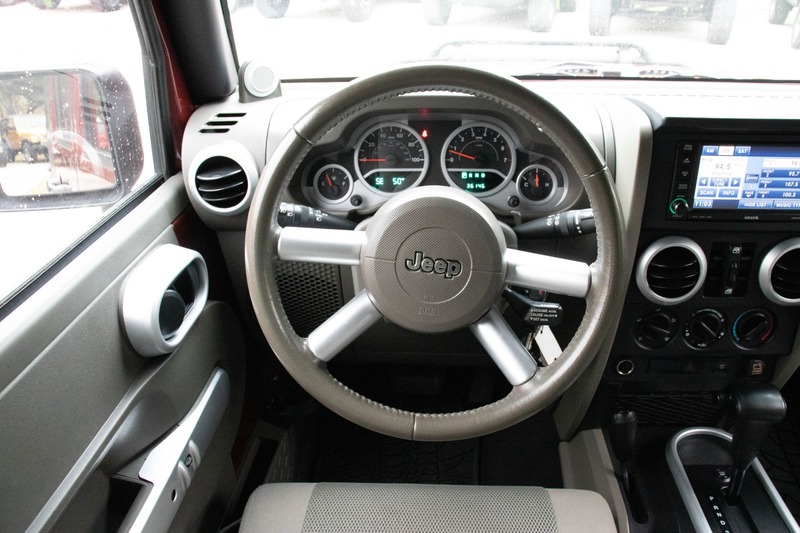 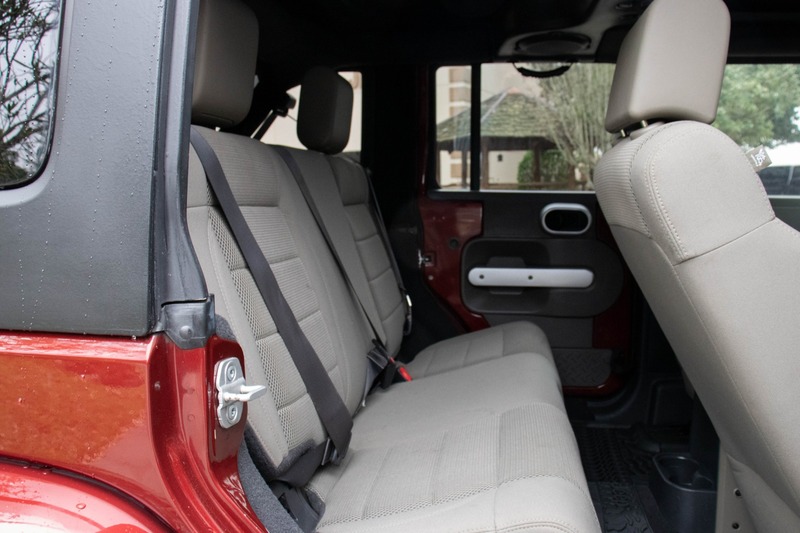 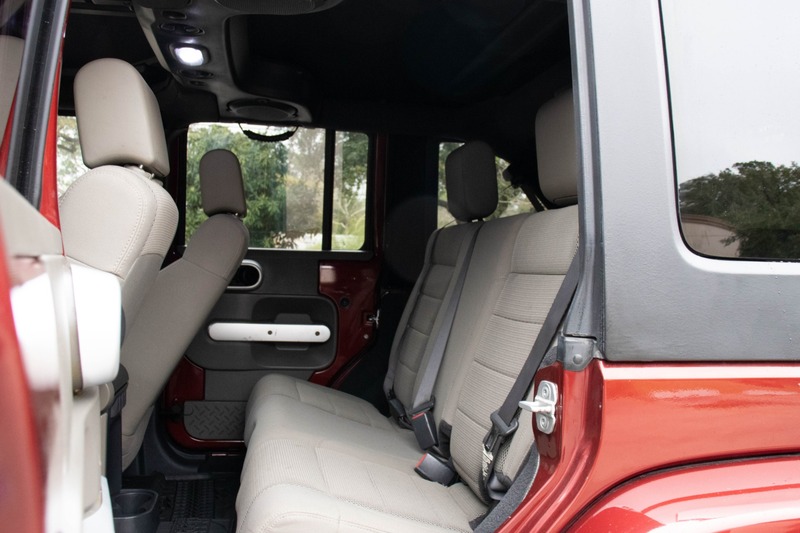 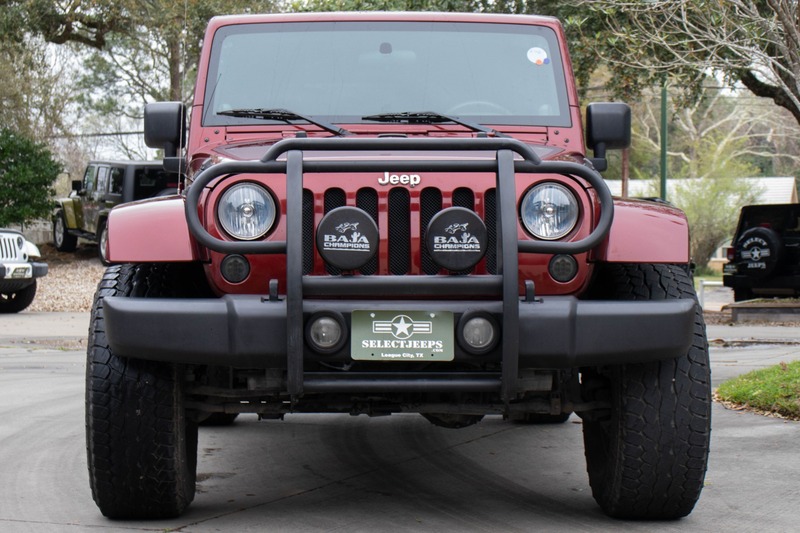 This Unlimted Sahara is both comfortable and rugged. 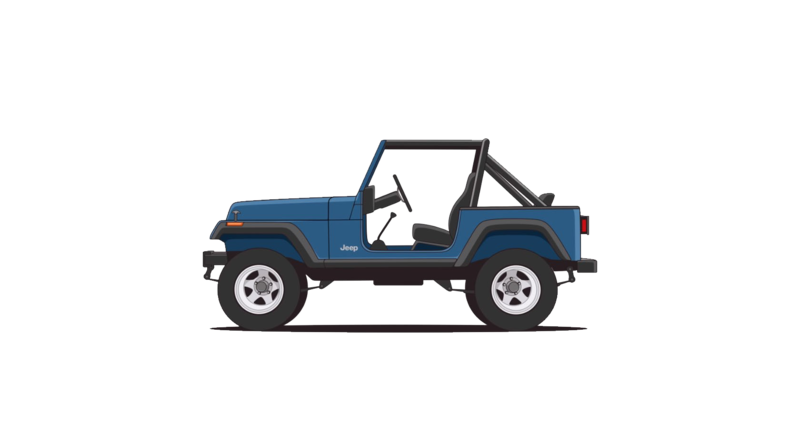 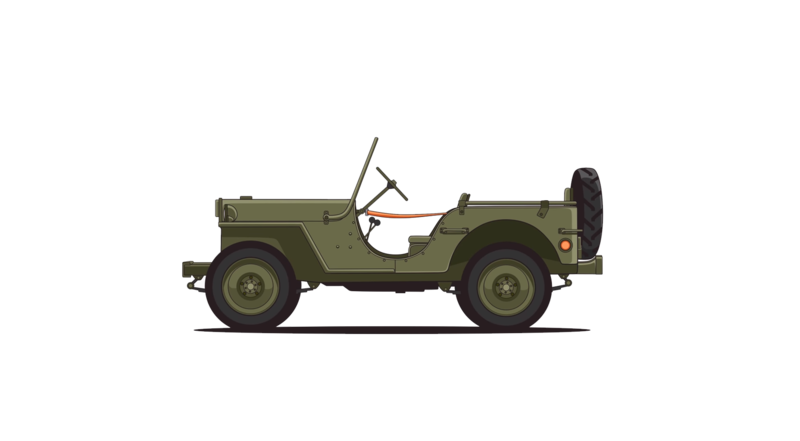 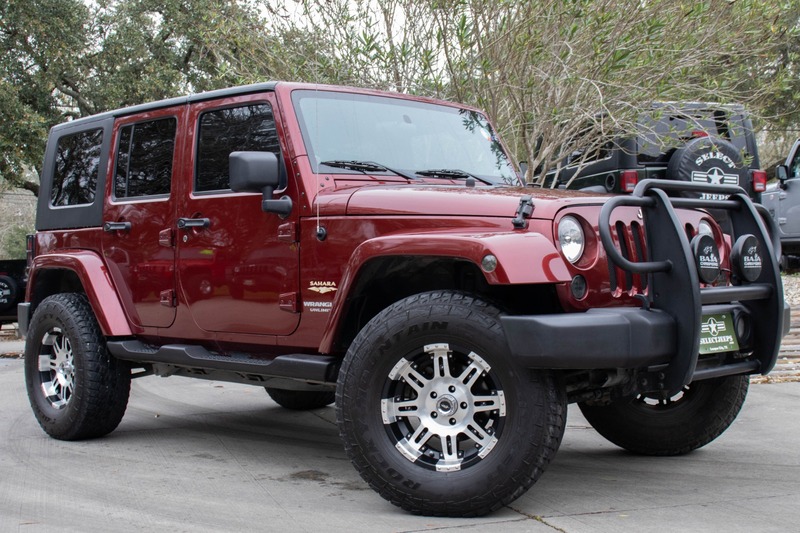 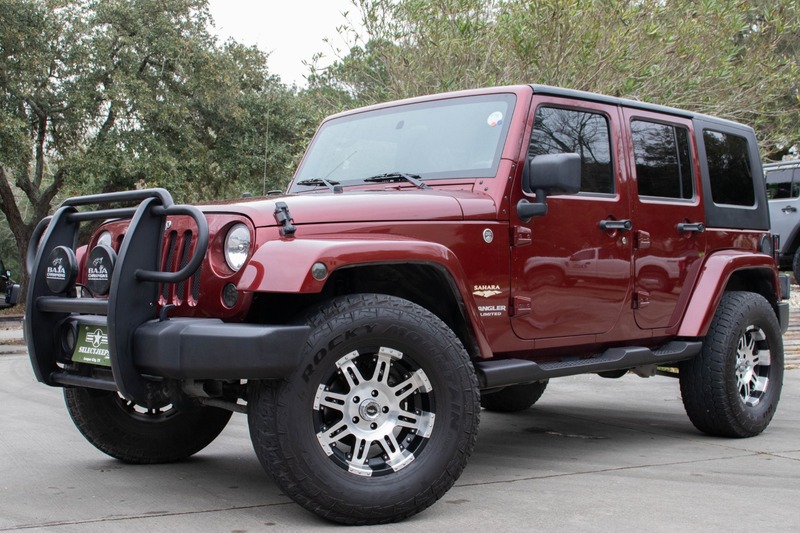 With 35" Falken Rocky Mountain ATS Tires, 17" American Racing Dale Earnhardt Jr Wheels, and a suspension lift this Jeep will roll over any obstacle. 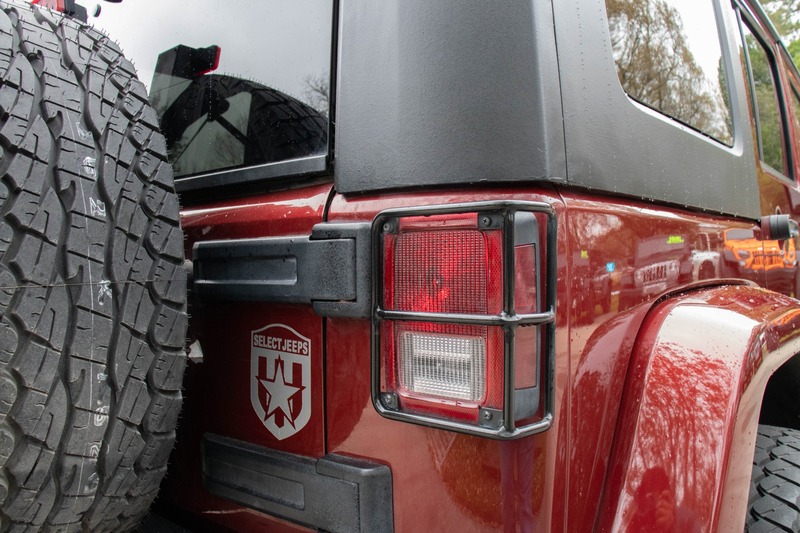 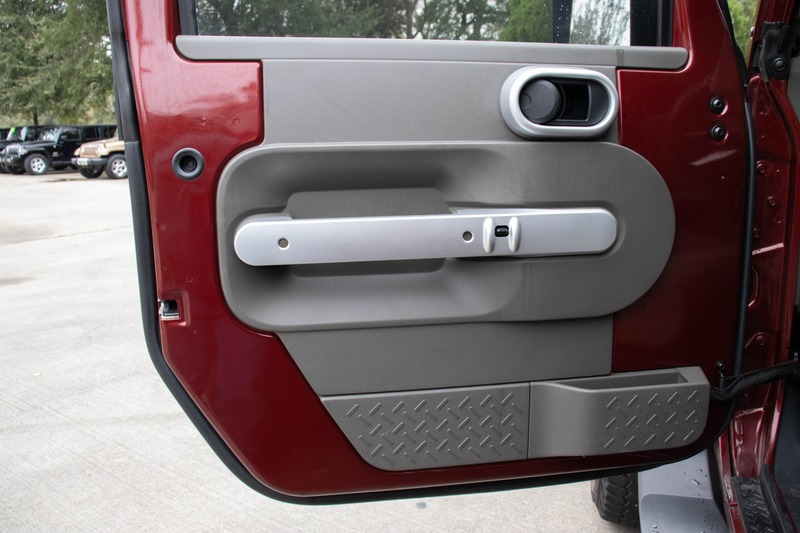 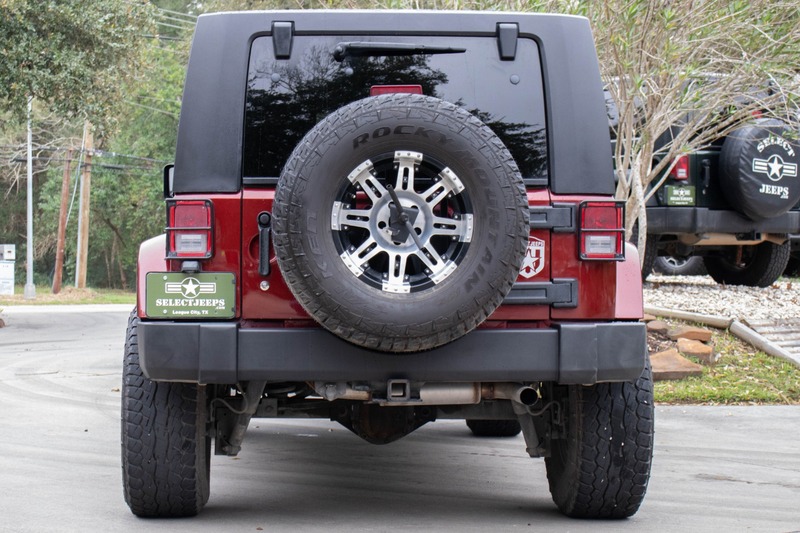 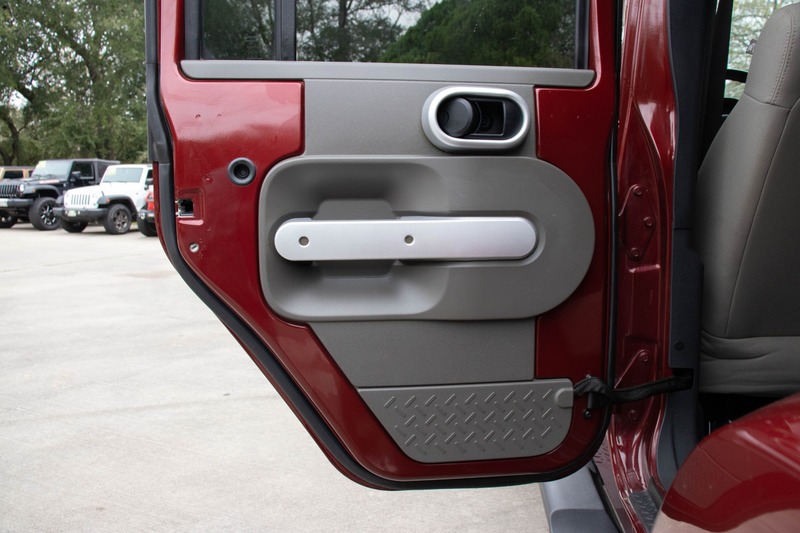 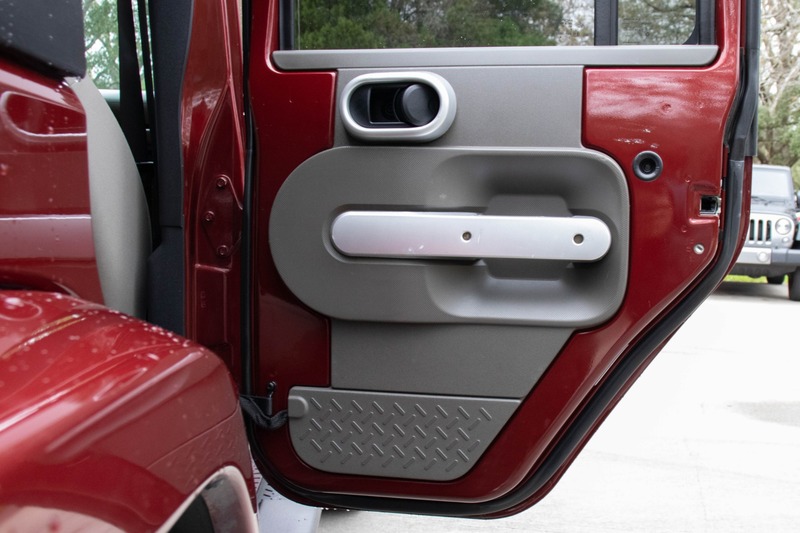 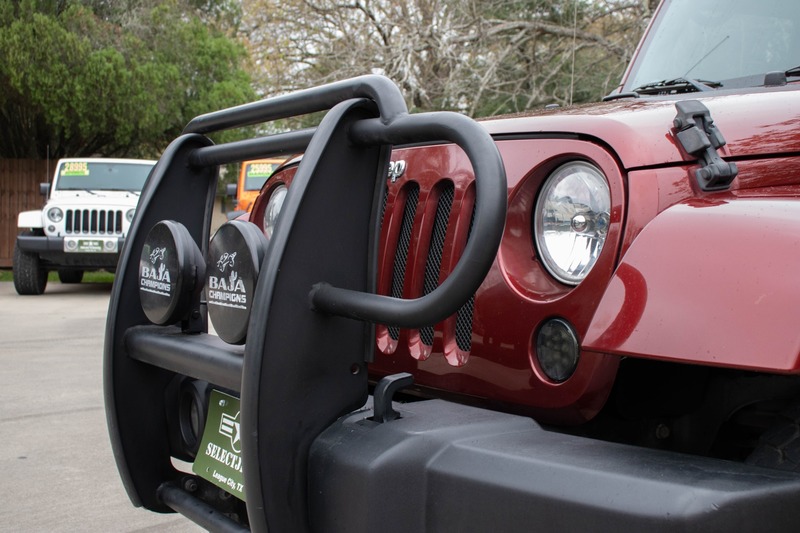 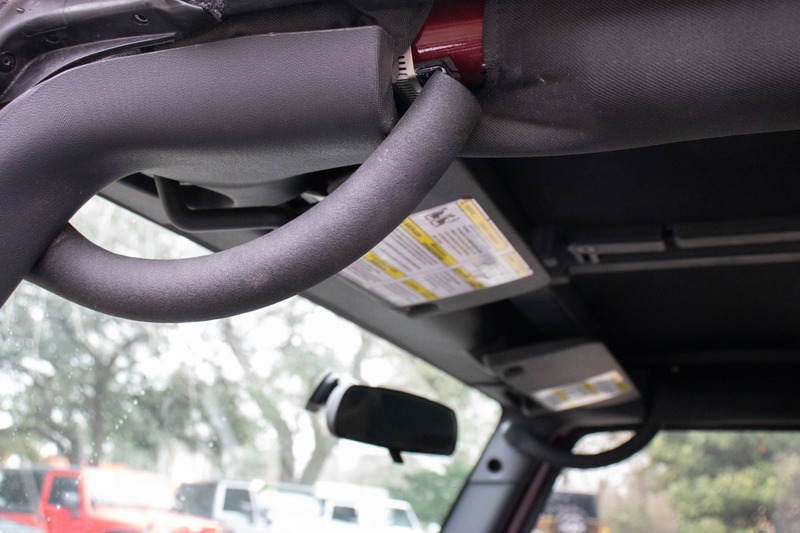 The Baja Campion lights will help you navigate trails and night and the metal front bumper bull bar will protect the front of your Jeep from trail damage. 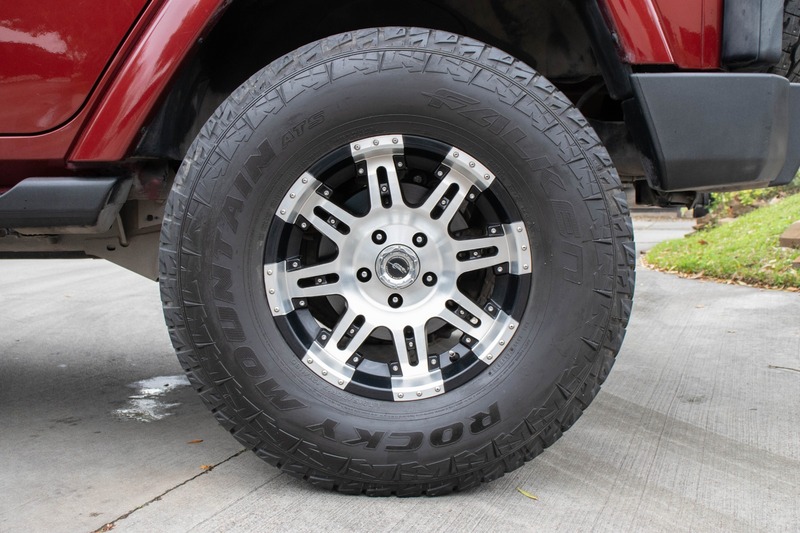 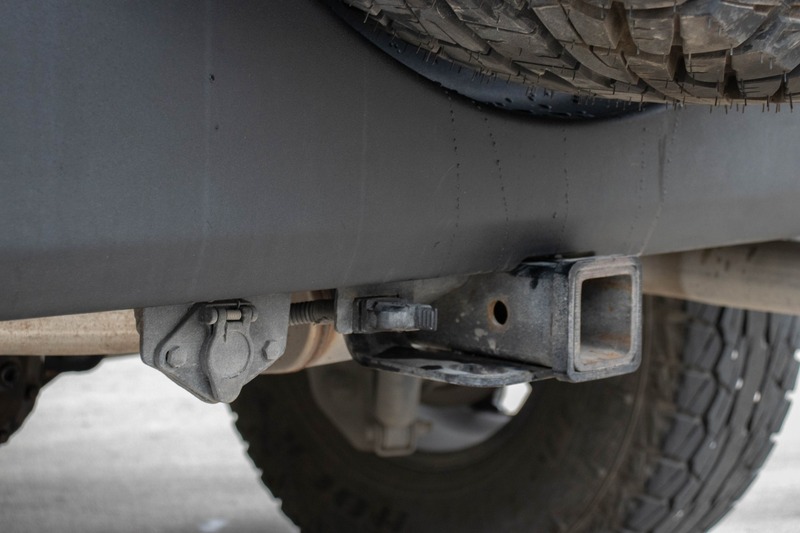 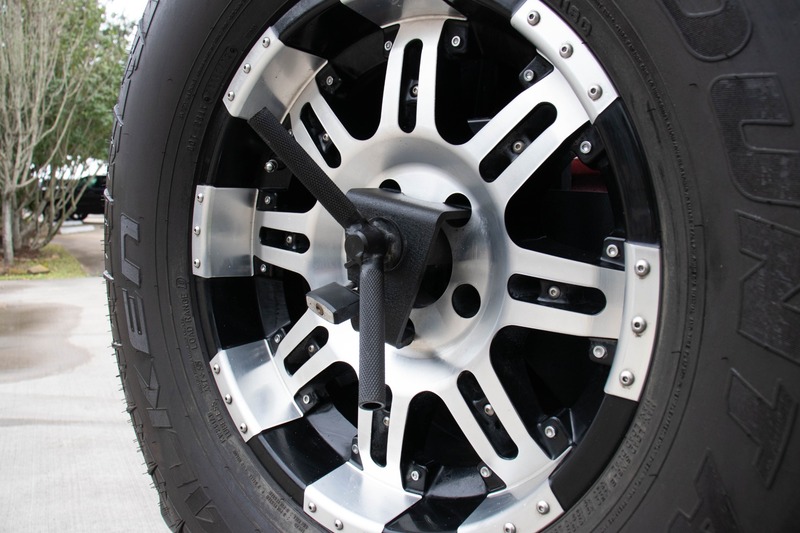 The full-size spare has a locking quick release making it quick and simple to change out a flat and continue on the road or trail. 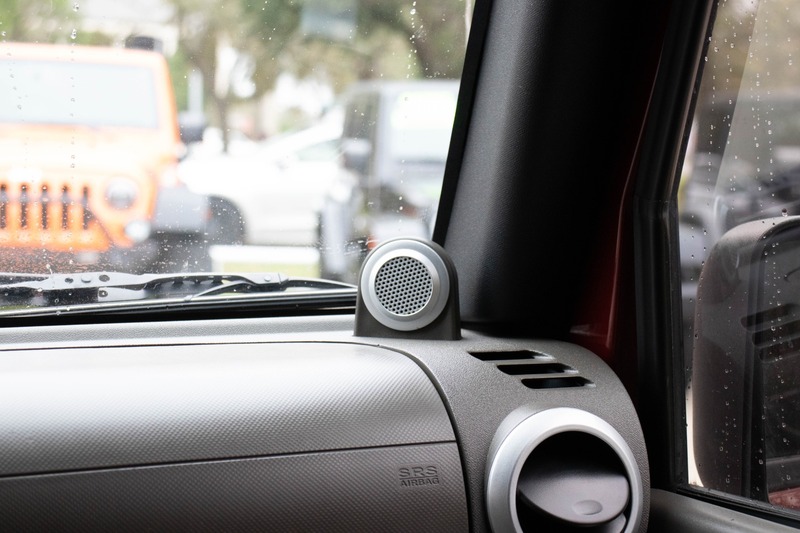 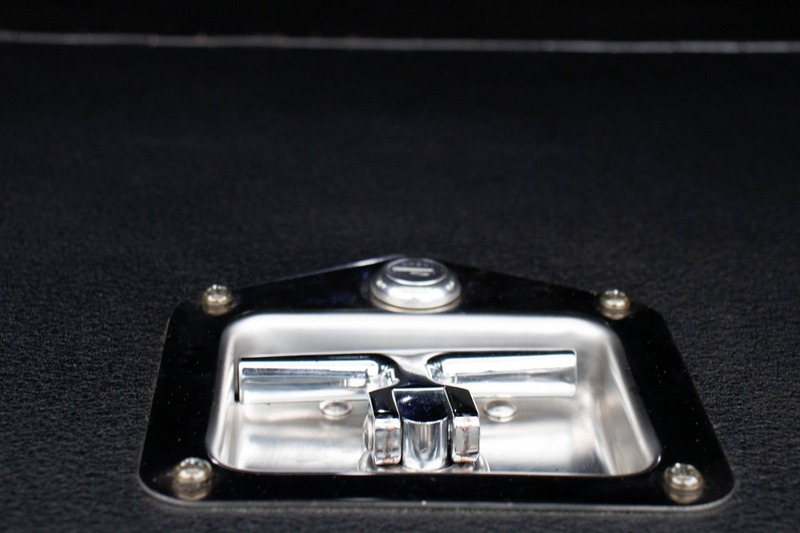 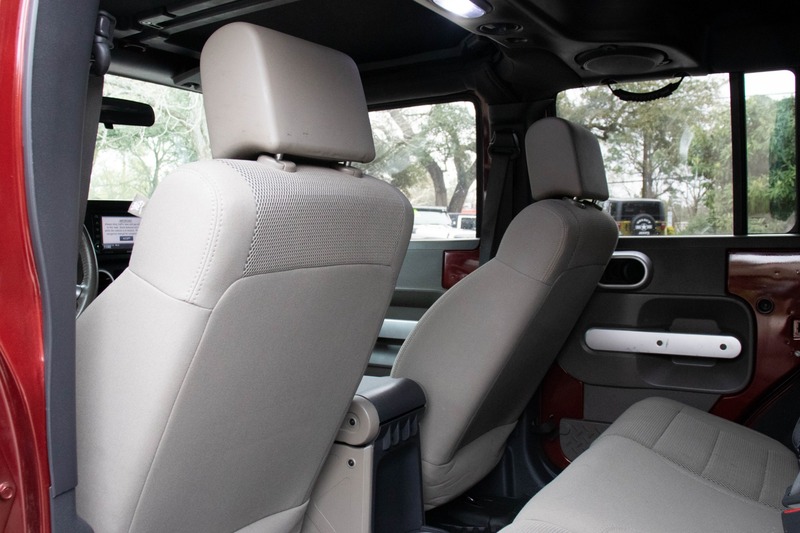 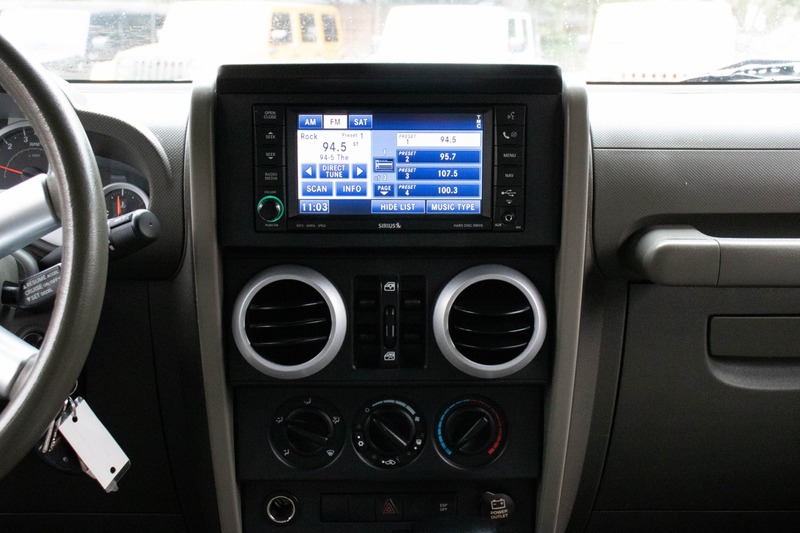 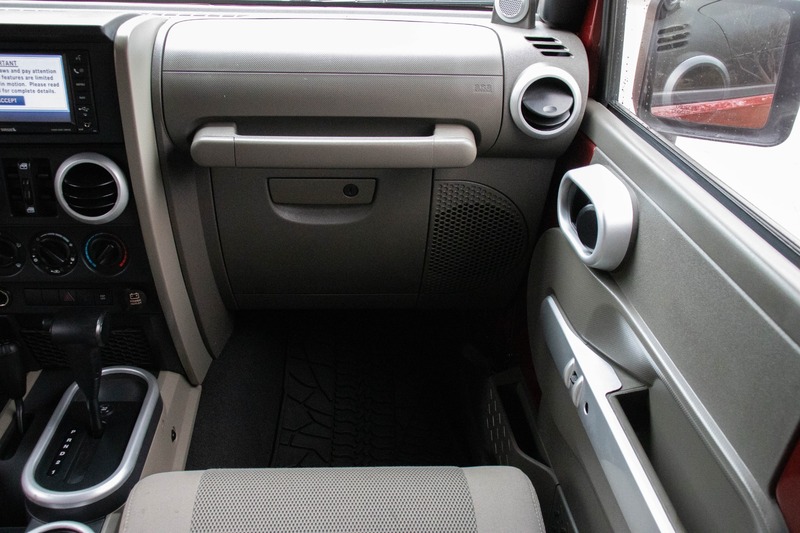 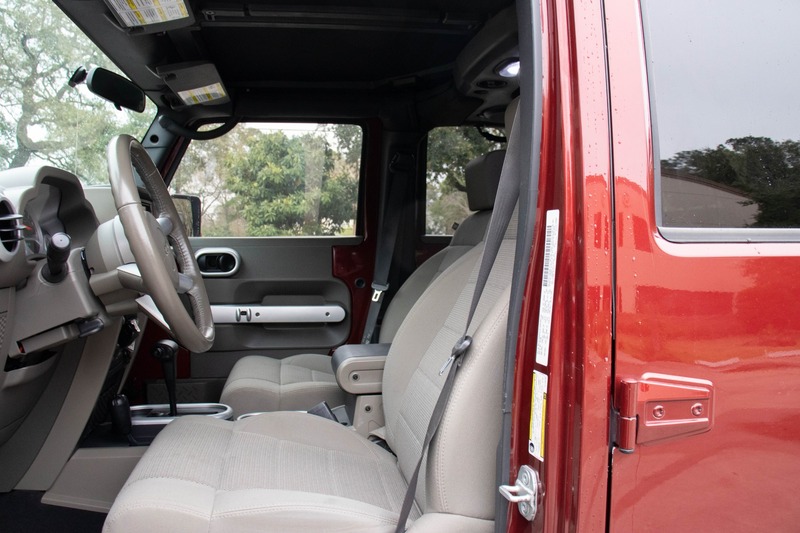 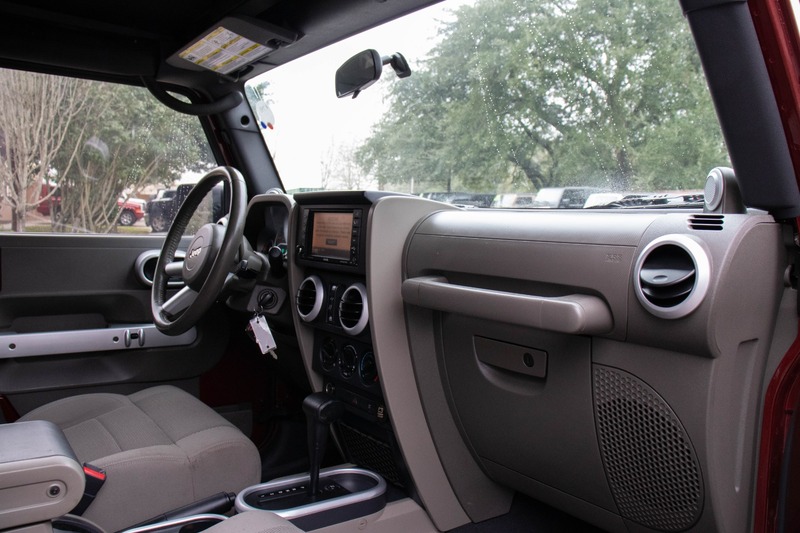 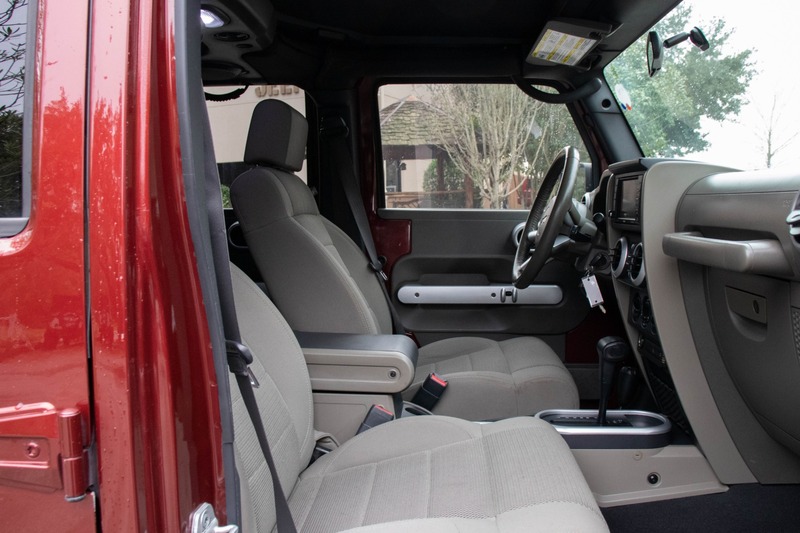 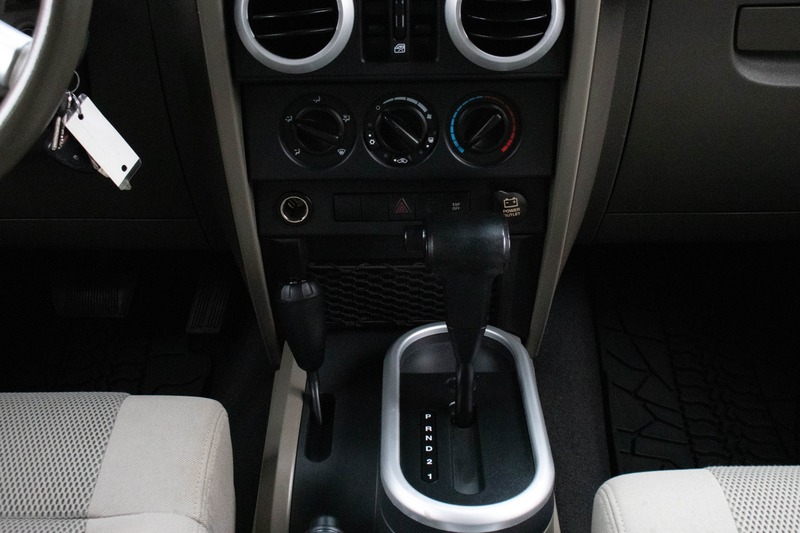 The clean interior is equipped with a touch screen media system with USB, Bluetooth, and aux inputs, giving you a variety of ways to listen to your music. 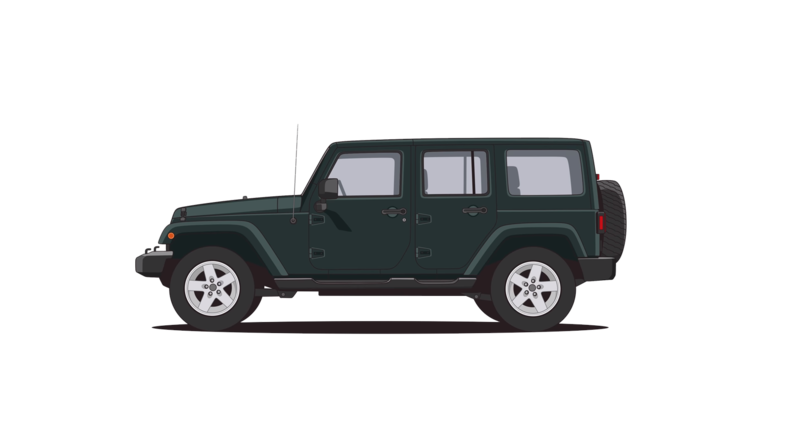 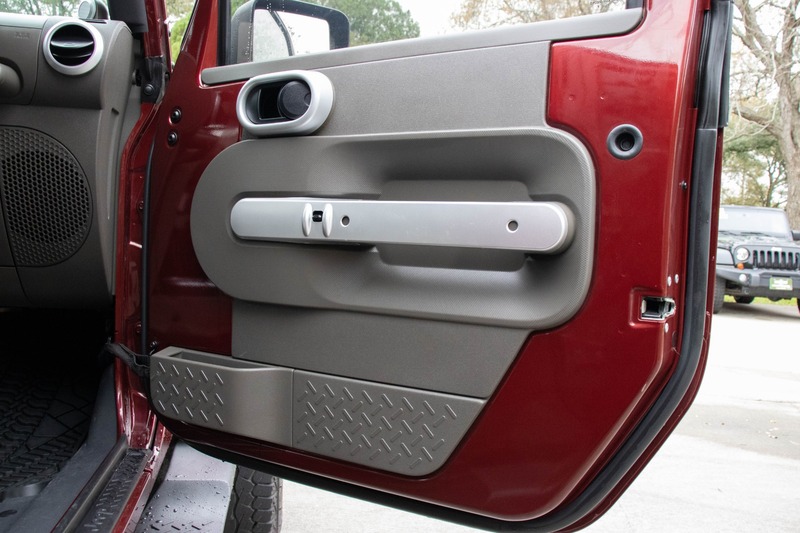 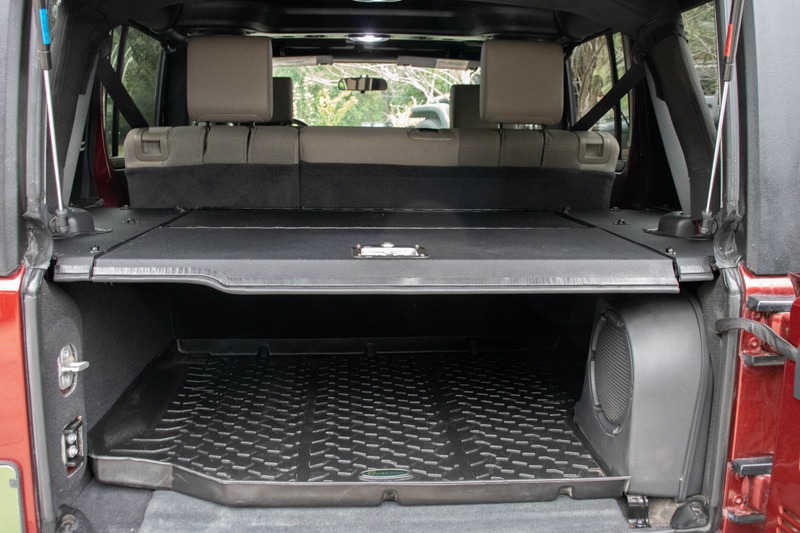 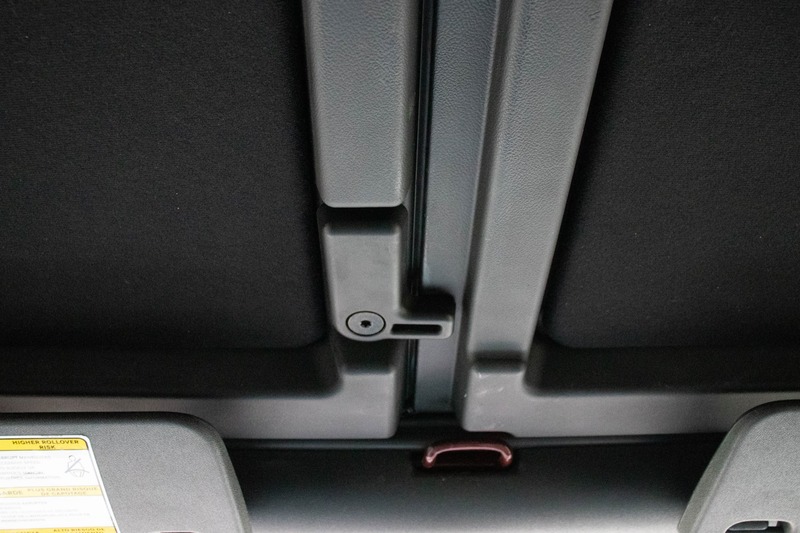 The lockable folding cargo cover will let you secure your valuables in your trunk while and can fold out of the way when you need the extra space. 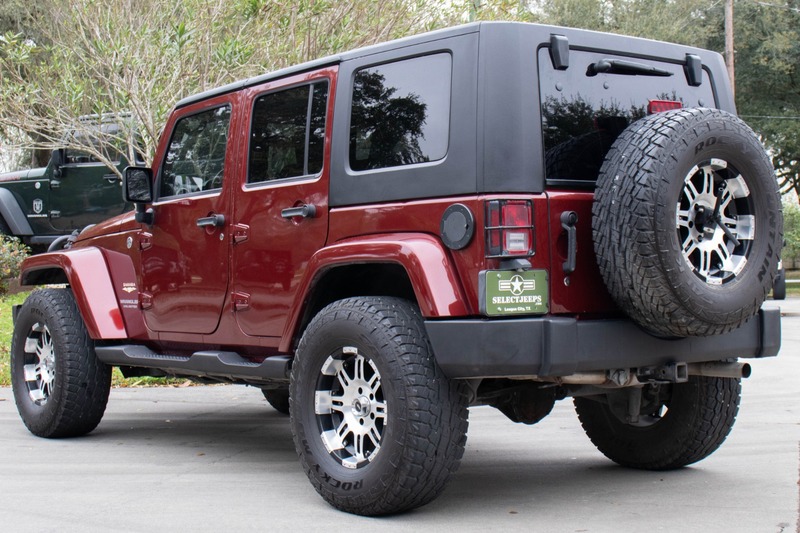 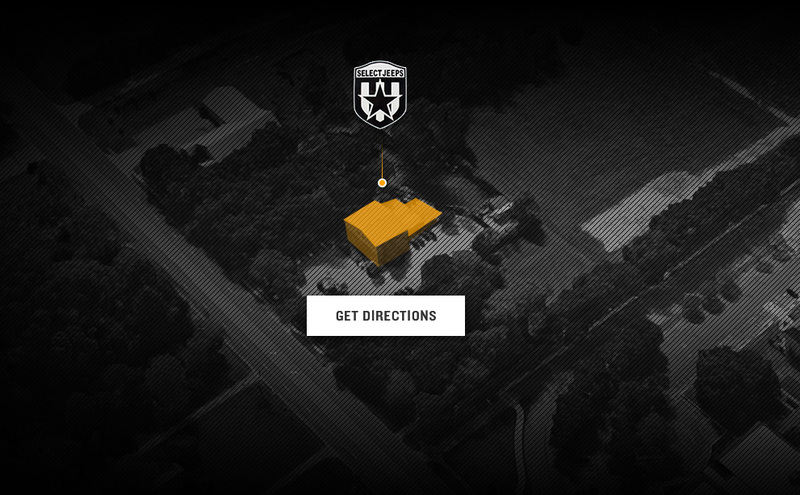 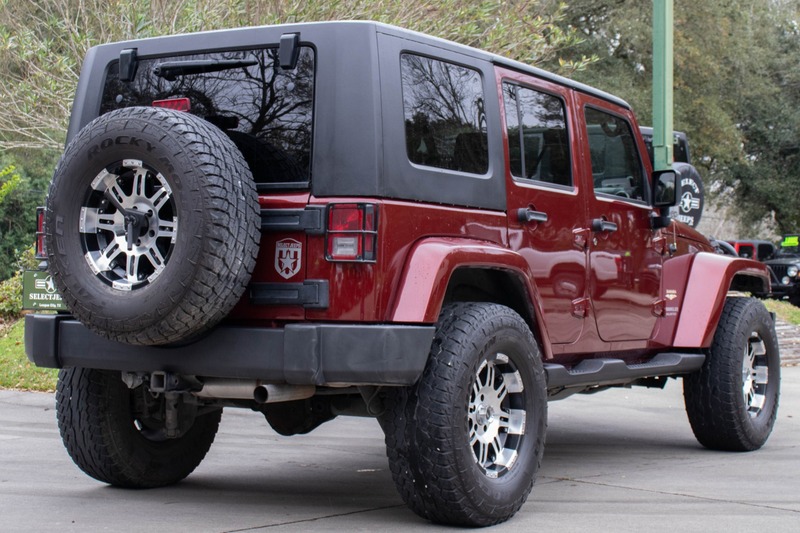 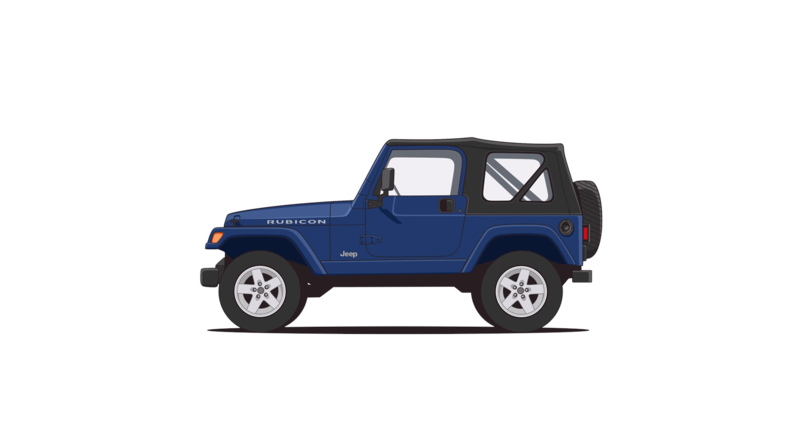 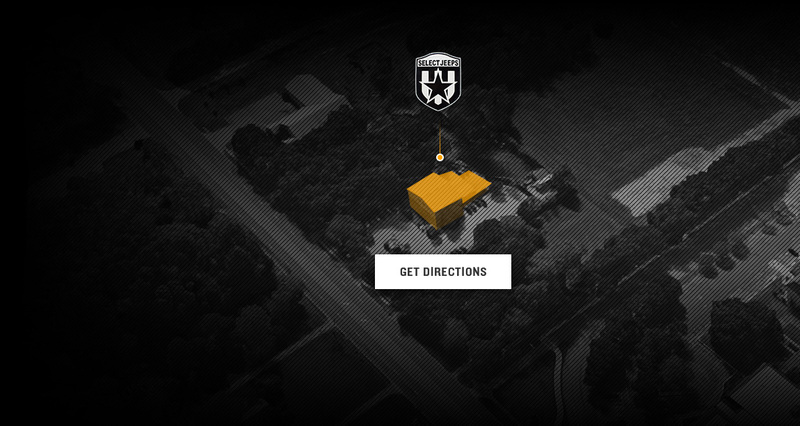 The sound insolated hard top will block out road noise, making the inside quieter and more comfortable. 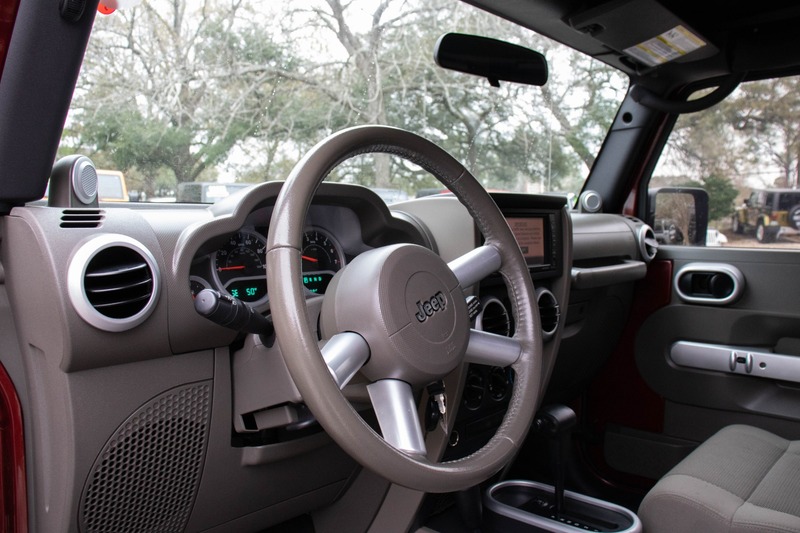 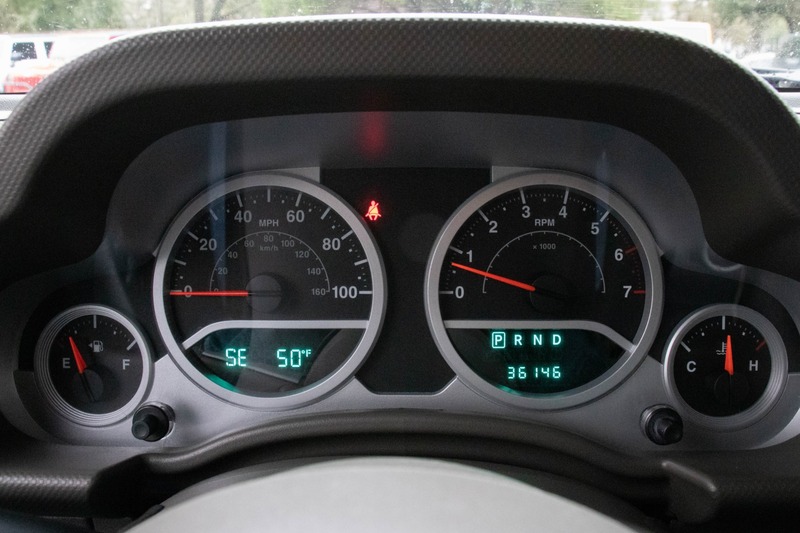 With only 36k miles, this Jeep drives great!